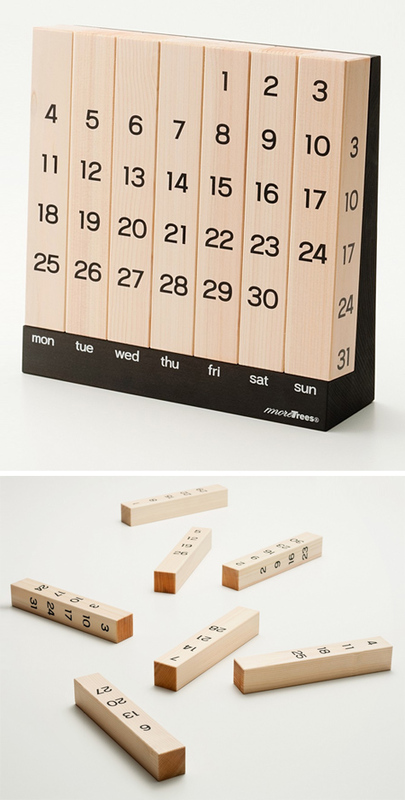 The minimal Million Year Calendar is usable forever, simply by rotating each vertical post. No yearly waste or cheesy nature photographs. Wonderful!